Miguel, making a statement at last Thursdayâs sitting of the House of Assembly, said that, based on the reports of violence against women, it can be concluded that they are at an unacceptable level. âI am rankled by reports of heinous crimes committed here in St. Vincent and the Grenadines. I shudder at the callous manner in which individuals inflict wounds on their fellow men,â Miguel said. âI am particularly distressed to read about the brutal crimes against females,â she continued. The area representative for Marriaqua contended that given the high numbers of women that become victims of violence and crime, including murder, and their frequency, it was easy to assume that women in this country are being singled out. âThis government condemns all levels of violent behaviour and stands with the police in the fight against violence and crime,â Miguel said. In May 1995, this country ratified the Inter-American Convention for the Prevention, Punishment and Eradication of Violence against Women and, according to Miguel, it was essentially important to their (womenâs) overall development as it sought to address violence against women in all its manifestations. She added that during her stint as the Minister of Gender Affairs she took the issue seriously and was this countryâs champion on violence against women. âI am troubled by the lawlessness that pervades this society. Today, I rise as a champion to help build a fight against all forms of violence against women,â Miguel said. 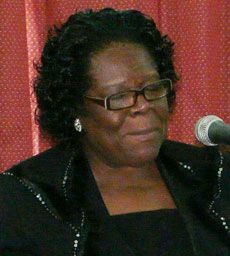 She singled out the recent cases including the killings of Stephmnie Daniel of Greiggs, Ingrid Jack and Marva John of Campden Park and the Marion John of Fitz Hughes, who was killed and allegedly raped. Miguel said that it was to be accepted that there is a threat to women, which must be lessened.